Manchester City manager Roberto Mancini says striker Carlos Tevez will return in time to face Chelsea on Saturday. Tevez was allowed to return to his native Argentina earlier this month after complications with his wife Vanesa's pregnancy. Until this week it had been unclear when Tevez was likely to come back after City granted compassionate leave. "I spoke with him and he will come back on Thursday or Friday morning. I am sure," said Mancini. "It is important Carlos comes back so he can play against Chelsea. "He said to me that every day he has been training in Argentina, every morning. "He had a serious problem but now I think he resolved his problem." The City boss appeared to be in the dark on the matter after Sunday's 0-0 draw with Liverpool although Tevez's agent Kia Joorabchian claimed on Monday that the player had kept his club updated with developments. Tevez's baby daughter has been in intensive care after being born prematurely. The striker will certainly be missing for City's trip to Stoke for an FA Cup fifth-round replay on Wednesday. It will be the fourth game Tevez - their 19-goal top-scorer - will have missed, a sequence in which the team has struggled for form and so far failed to pick up a win. To have his prized weapon available for the game at Stamford Bridge will be a huge boost for Mancini, who admitted last week to having a disagreement with Craig Bellamy over the management of the Welsh forward's long-standing knee injury. But the Italian manager was adamant he retains the backing of his squad. 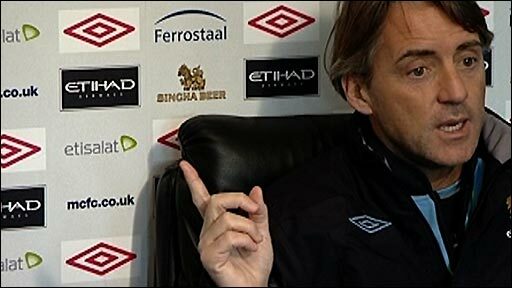 Asked if he felt he has the full respect and confidence of the players, Mancini said: "Yes, absolutely. "I have respect for the players always. For me it is not a problem. Usually I do not read the newspapers, but I have read (them) and for me everything is normal. "I can speak with my players because we don't have the same things, but this is normal. It is not a problem, not a serious problem for me. "But I haven't got any problem with the players - or (they are) normal problems that a manager has with his team. "For me it is incredible when I read that I have a problem with some players." Mancini is also without suspended midfielder Patrick Vieira and injured winger Martin Petrov, while striker Roque Santa Cruz has a knee injury.